Who would’ve thought that fruits and cheese go together so well? The sweet and refreshing flavours of this dessert will delight mum for sure. This recipe was first published in Flavours magazine. Chop the olives finely and place in a bowl. Add the rest of the ingredients, whisking with a fork and breaking the anchovies up. 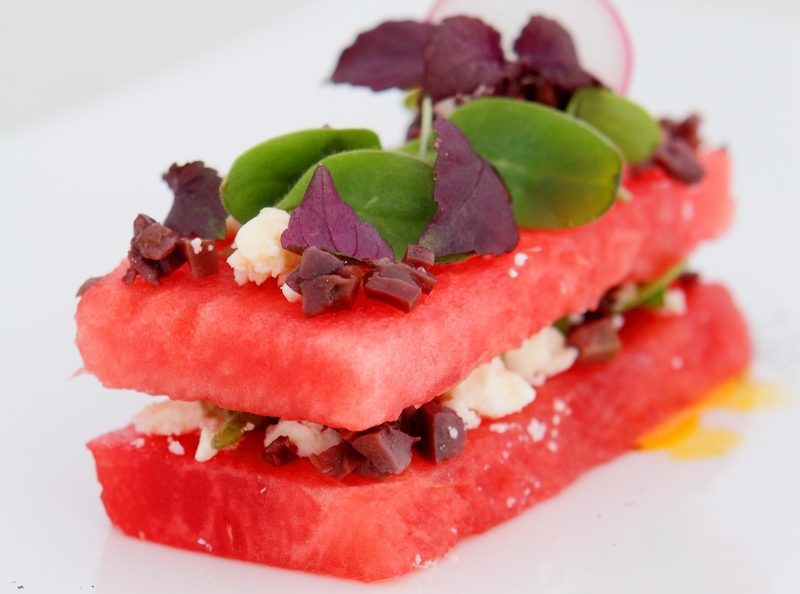 Layer the olive tapenade and feta cheese in between two slices of watermelon. Drizzle with red palm oil and garnish with shiso.